Congratulations to Timothy Brown for becoming Sacramento region’s Children’s Miracle Network Hospitals “Champion”! 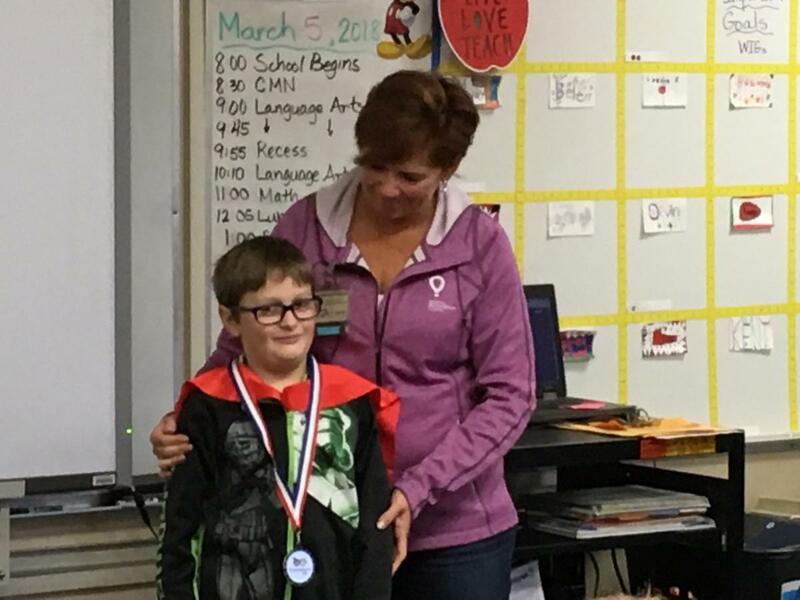 The eight-year-old cancer survivor was honored this week and presented with the award among his classmates at Golden Empire Elementary School. Timothy’s new title is “Champion Ambassador” for the entire country. He will serve as the local face for the millions of children treated at hospitals every year. Children’s Miracle Network Hospitals® raises funds and awareness for 170 member hospitals that provide 32 million treatments each year to kids across the U.S. and Canada. Donations stay local to fund critical treatments and health-care services, pediatric medical equipment and charitable care. For donations or more information, visit: CMNHospitals.org .